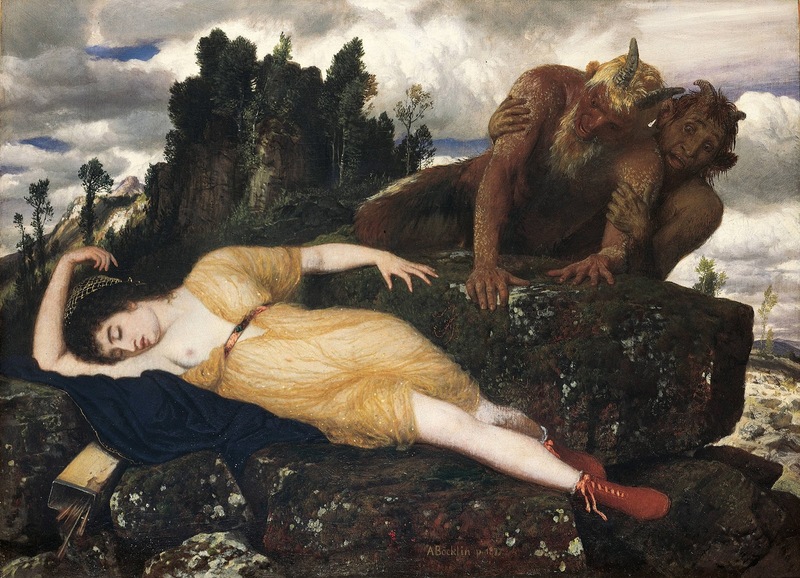 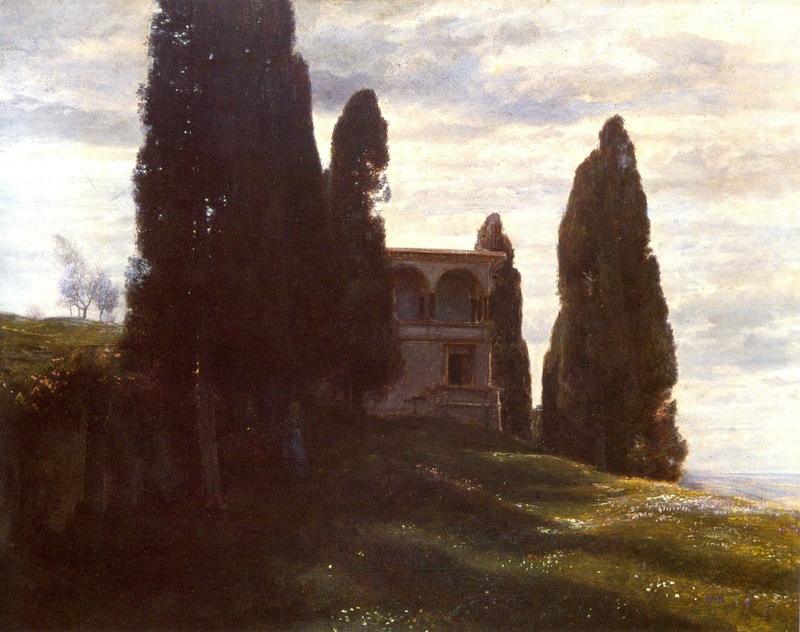 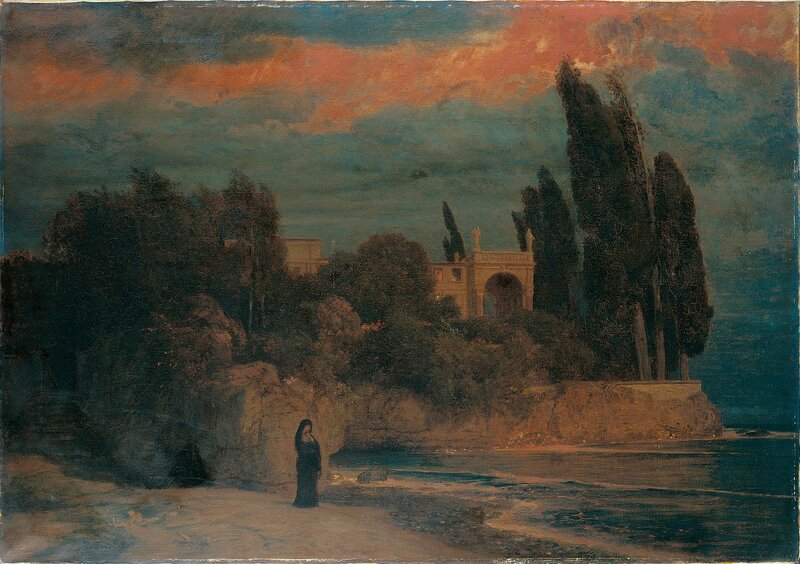 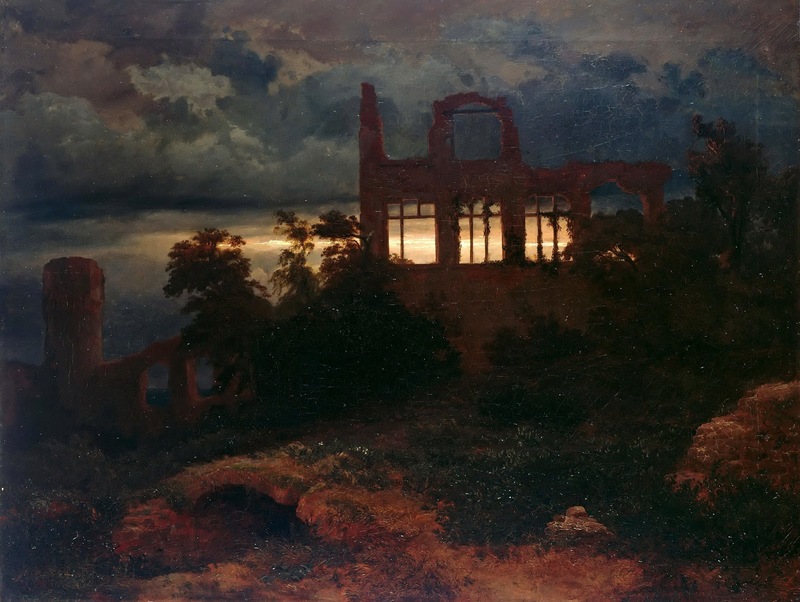 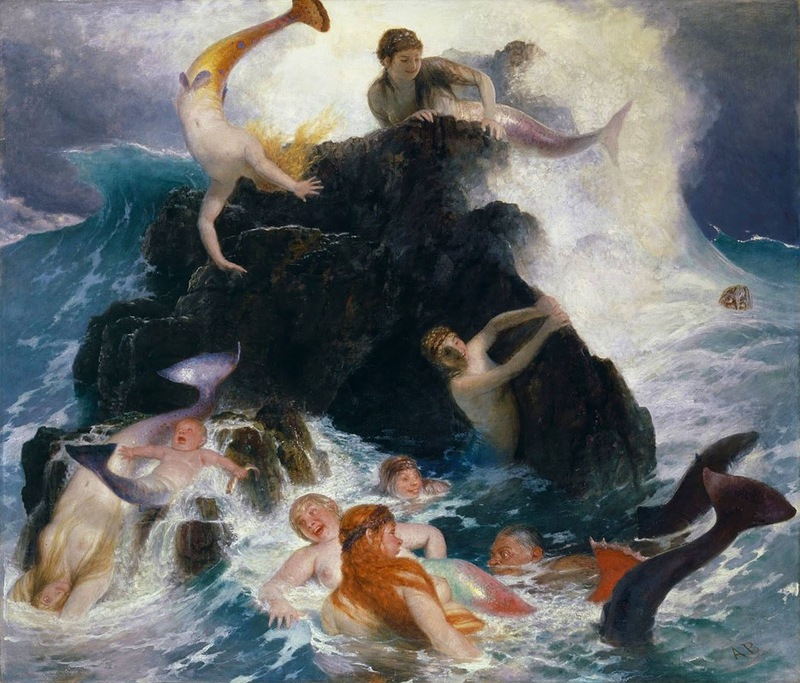 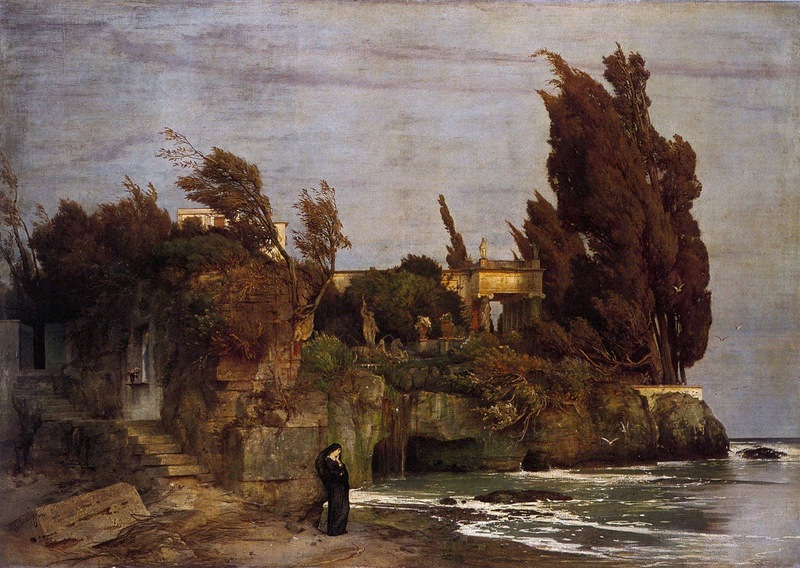 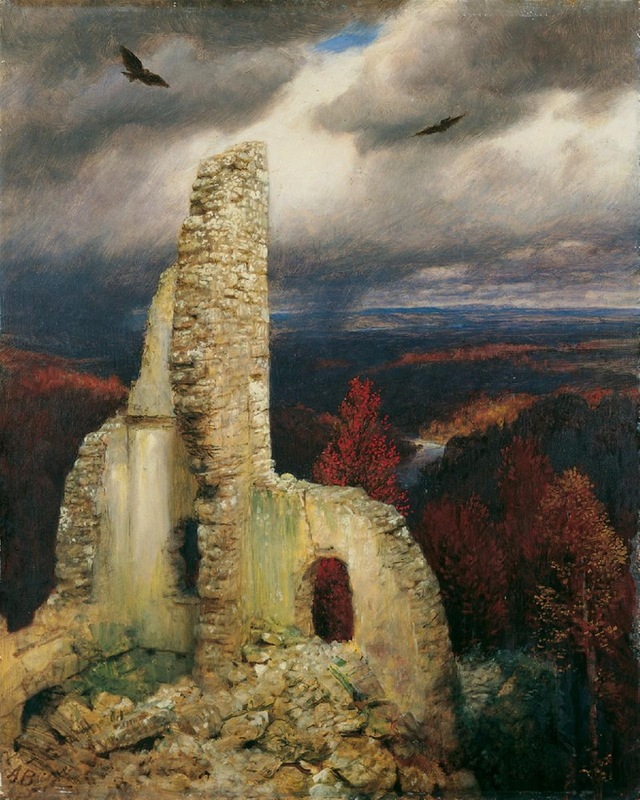 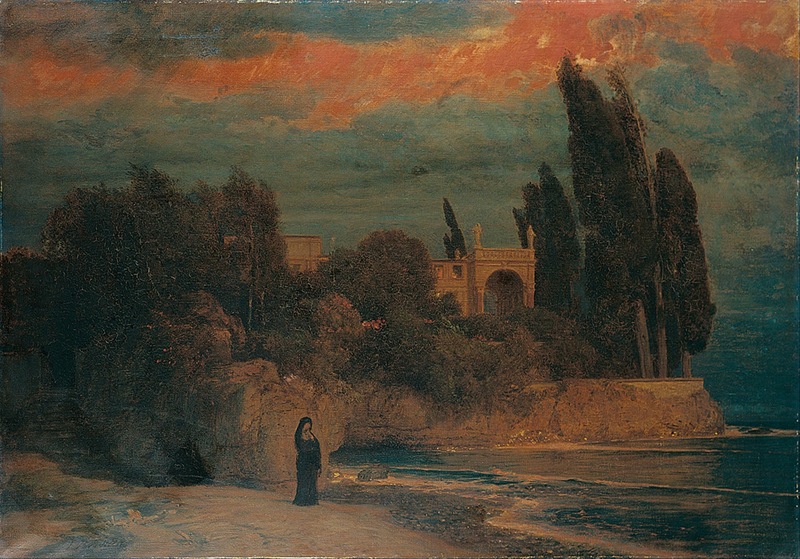 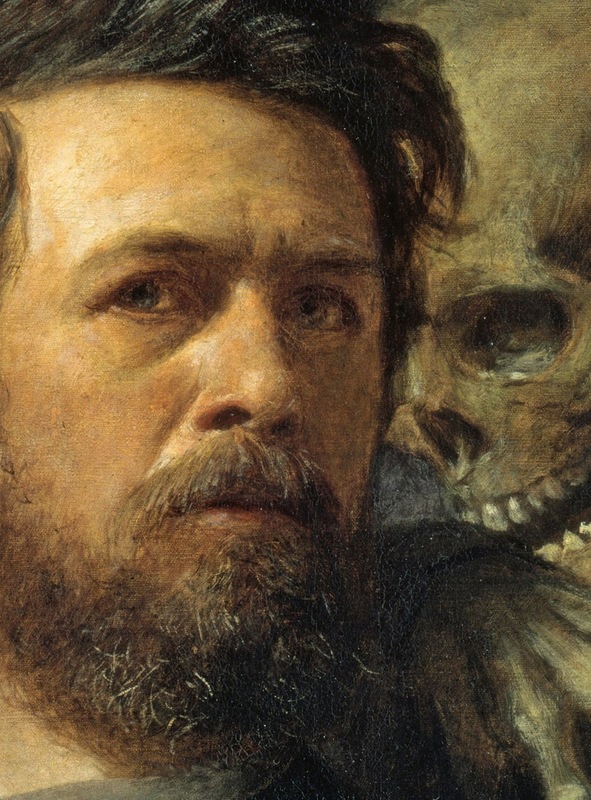 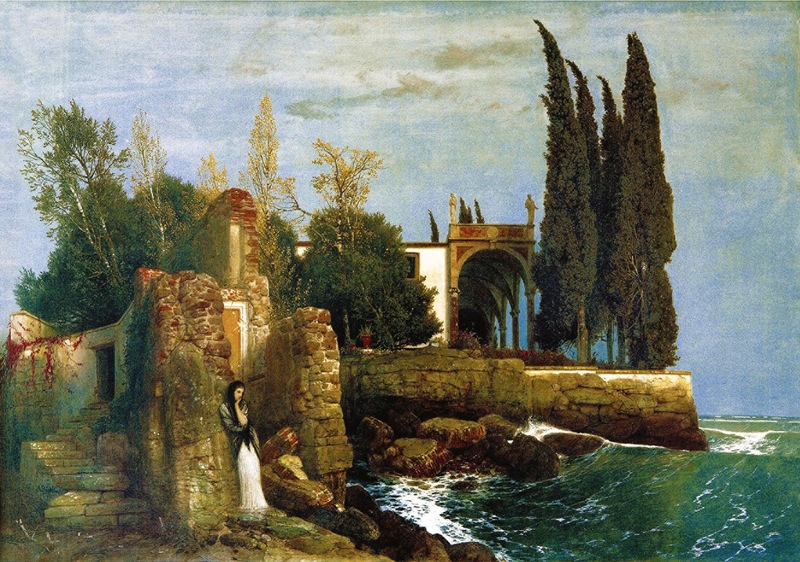 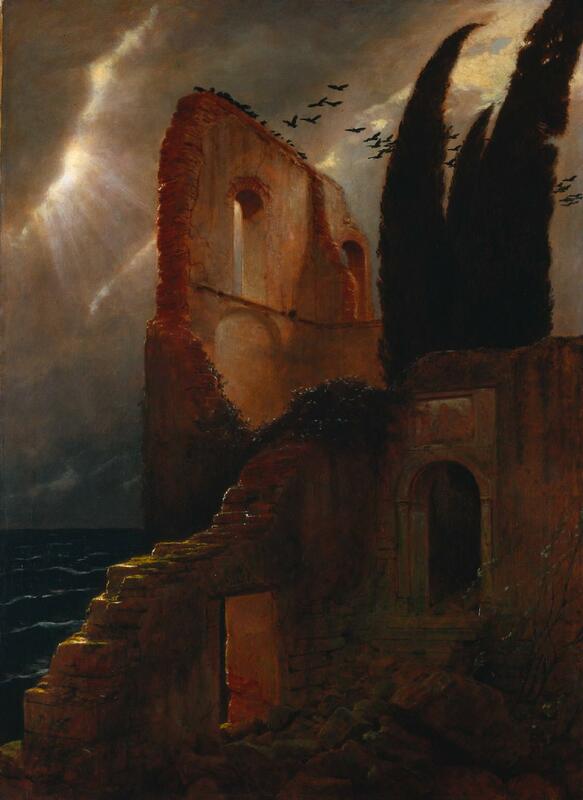 Arnold Böcklin, (October 16, 1827, Basel, Switzerland - January 16, 1901, Fiesole, Italy)**, painter whose moody landscapes and sinister allegories greatly influenced late 19th-century German artists** and presaged the symbolism** of the 20th-century Metaphysical and Surrealist artists**. 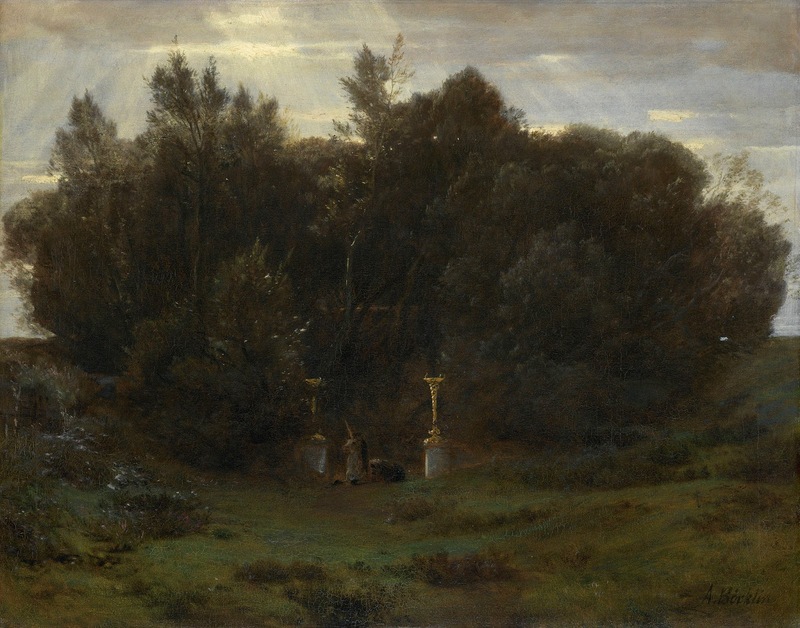 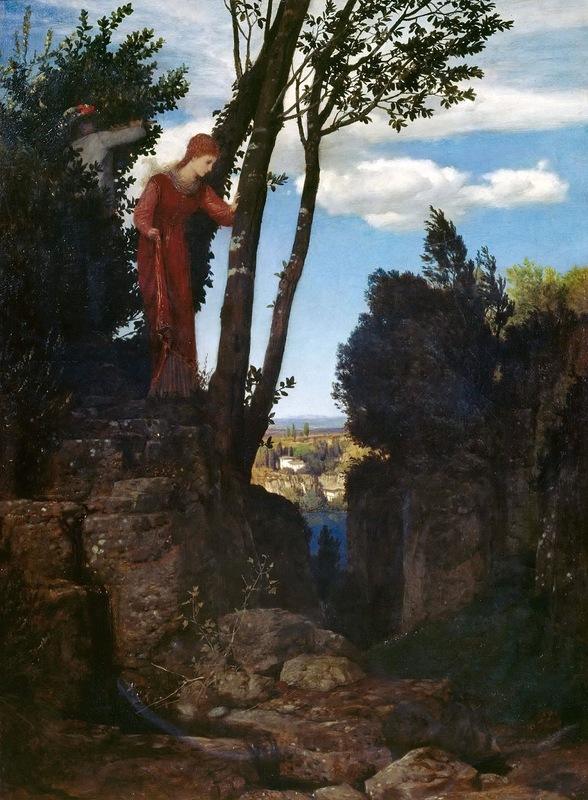 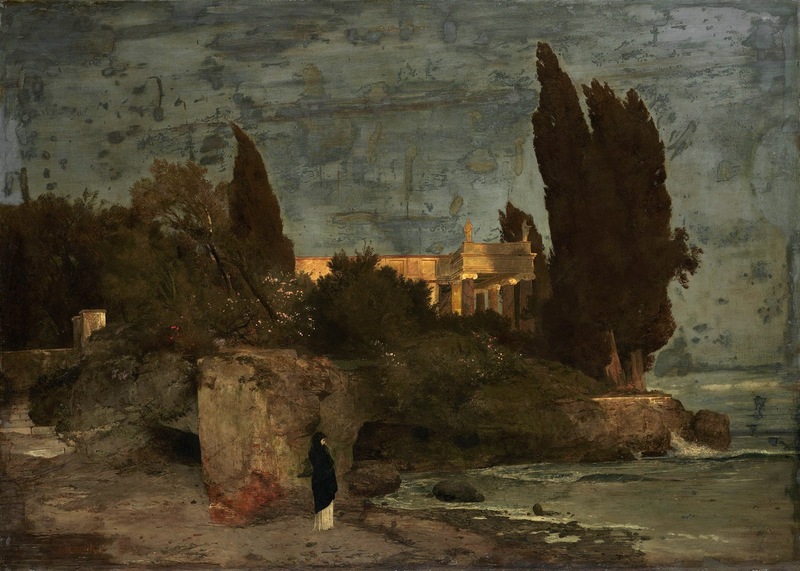 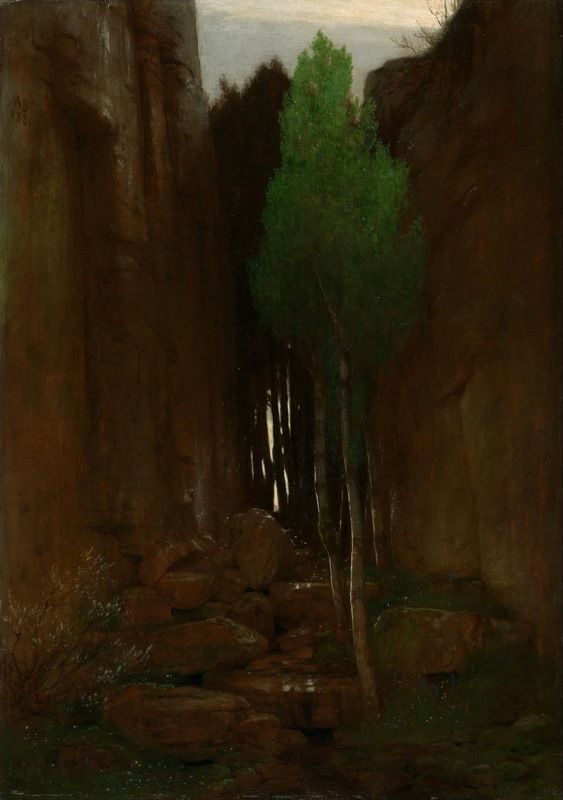 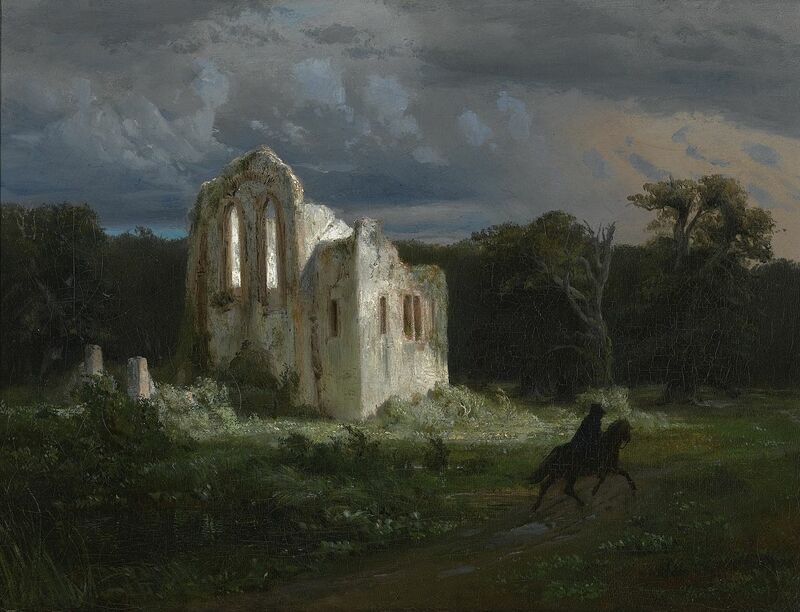 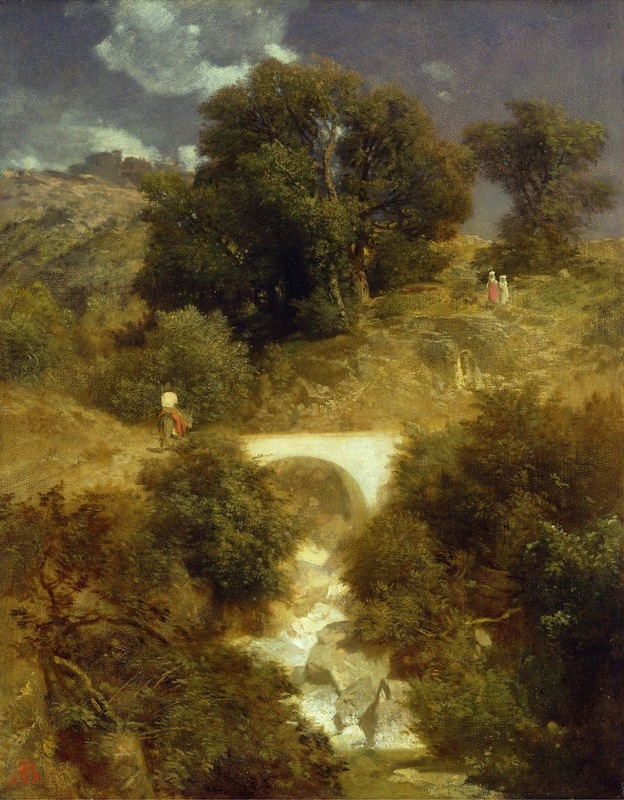 Although he studied and worked throughout much of northern Europe - Düsseldorf, Antwerp, Brussels, and Paris - Böcklin** found his real inspiration in the landscape of Italy, where he returned from time to time and where the last years of his life were spent. 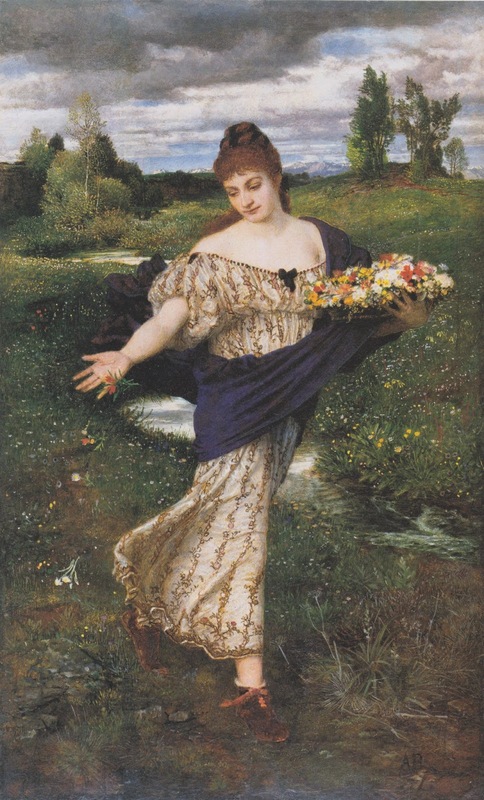 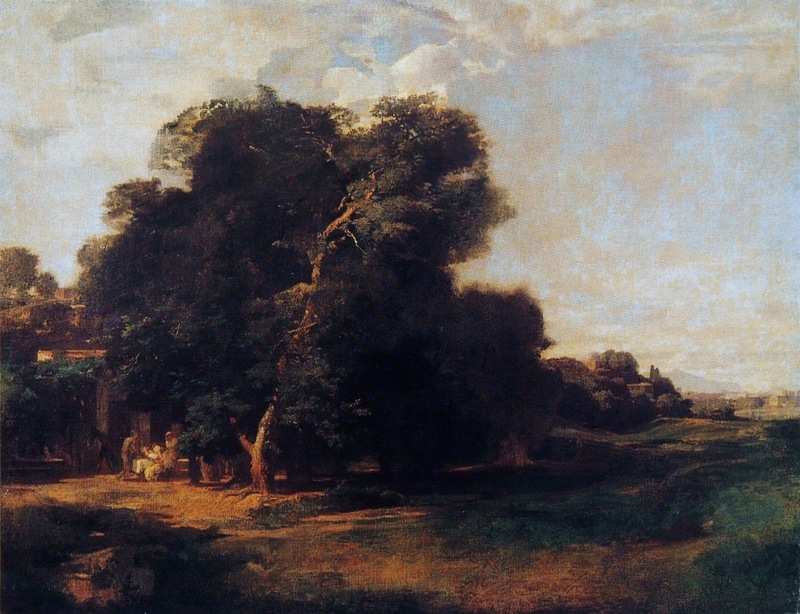 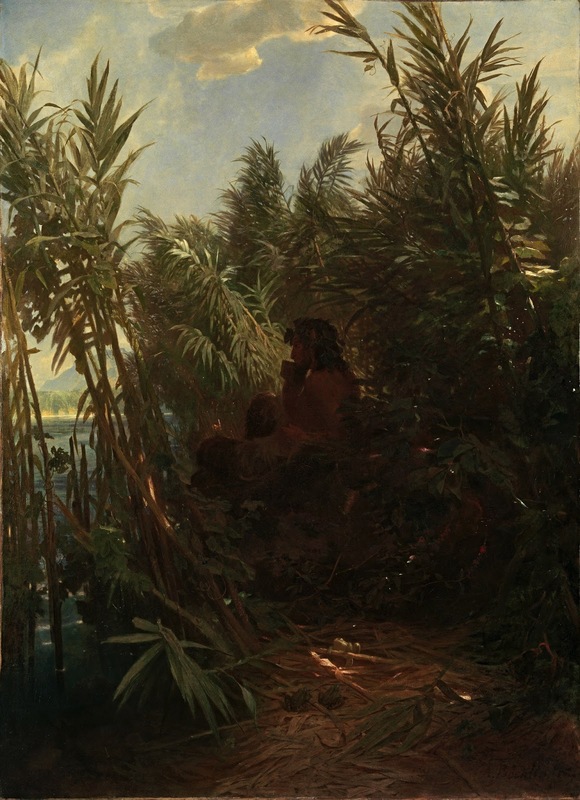 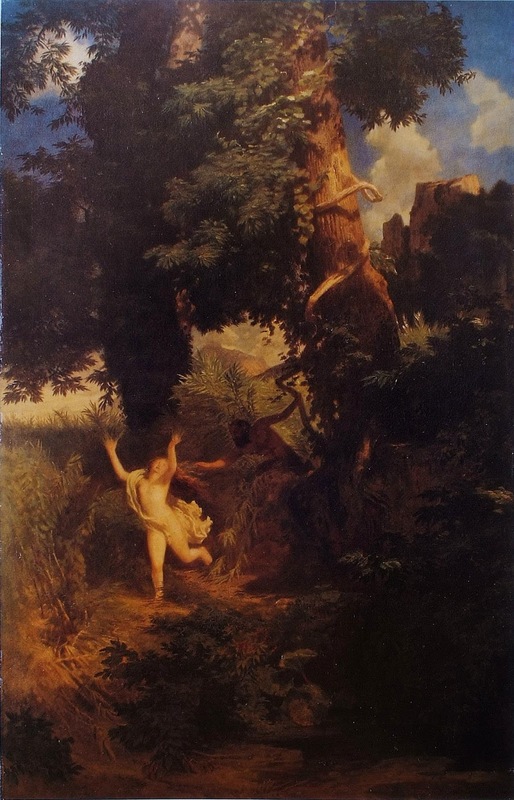 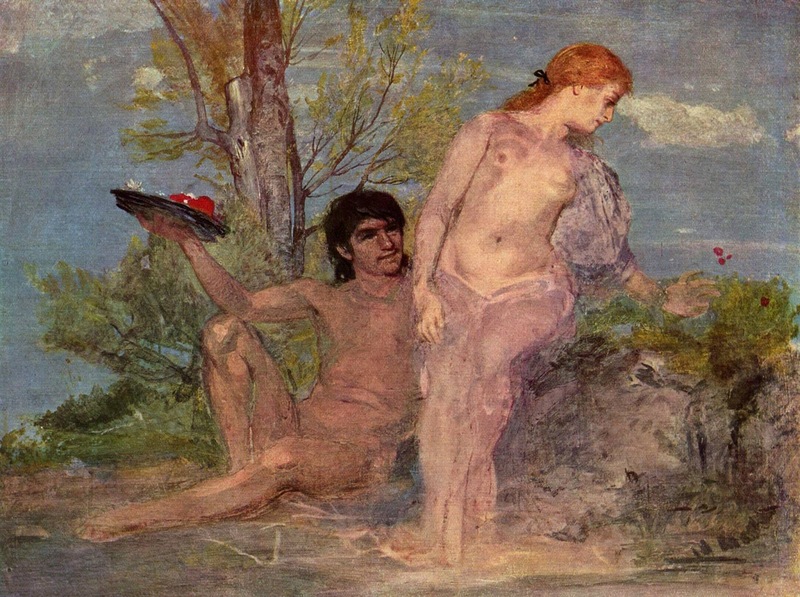 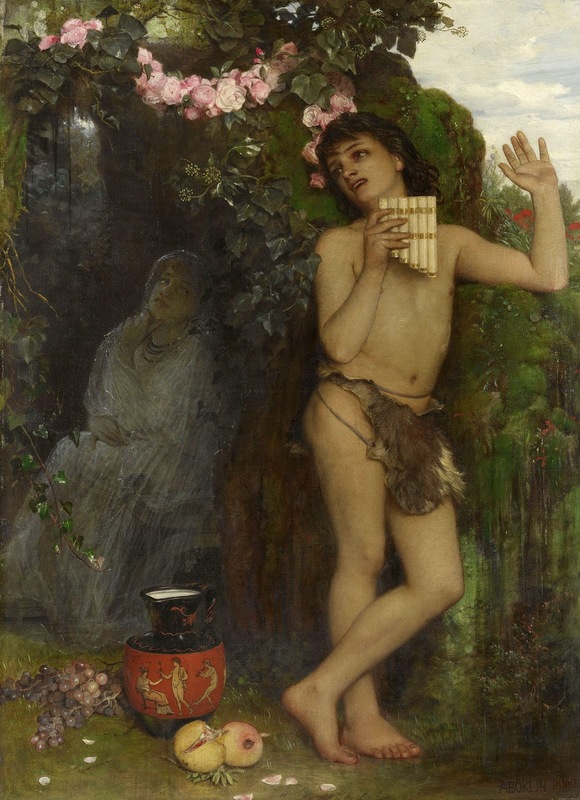 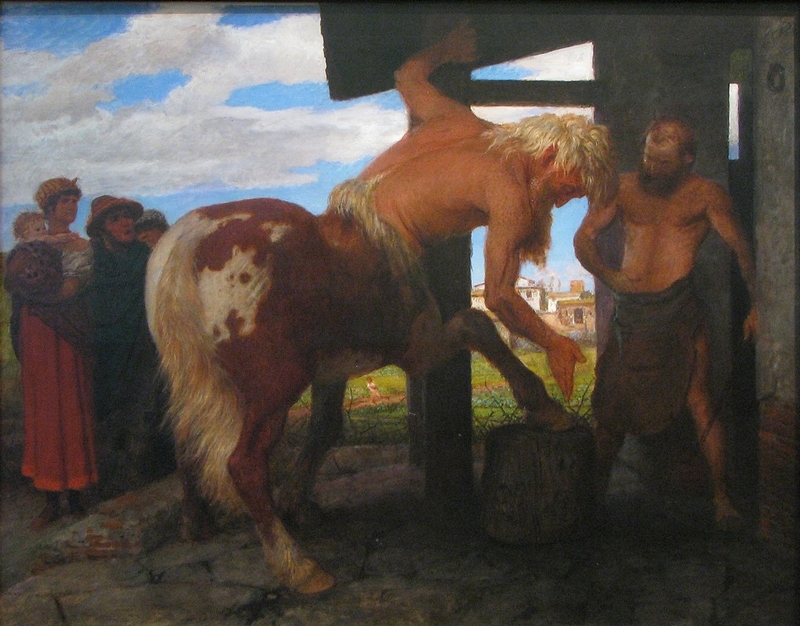 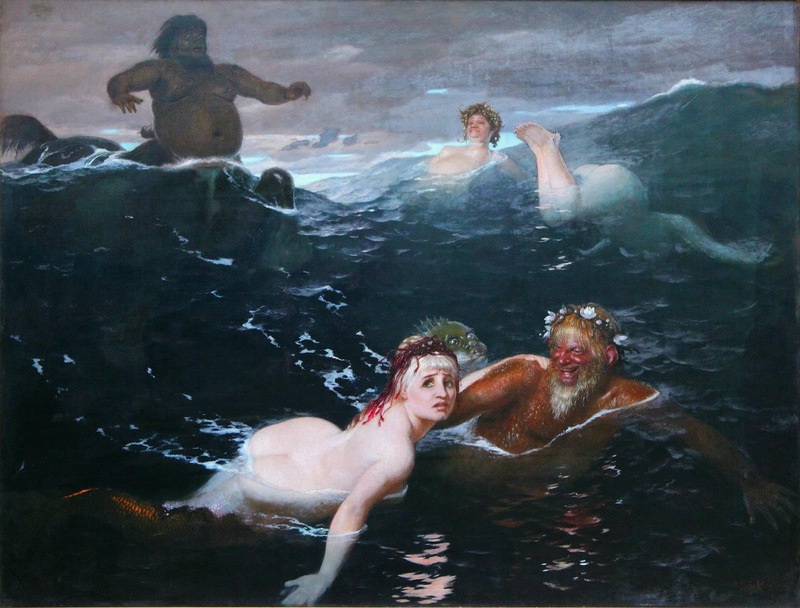 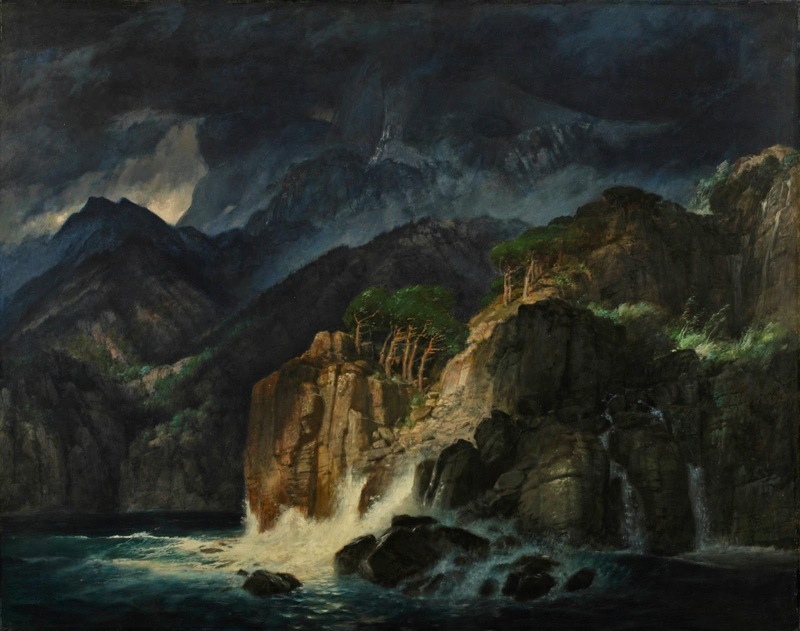 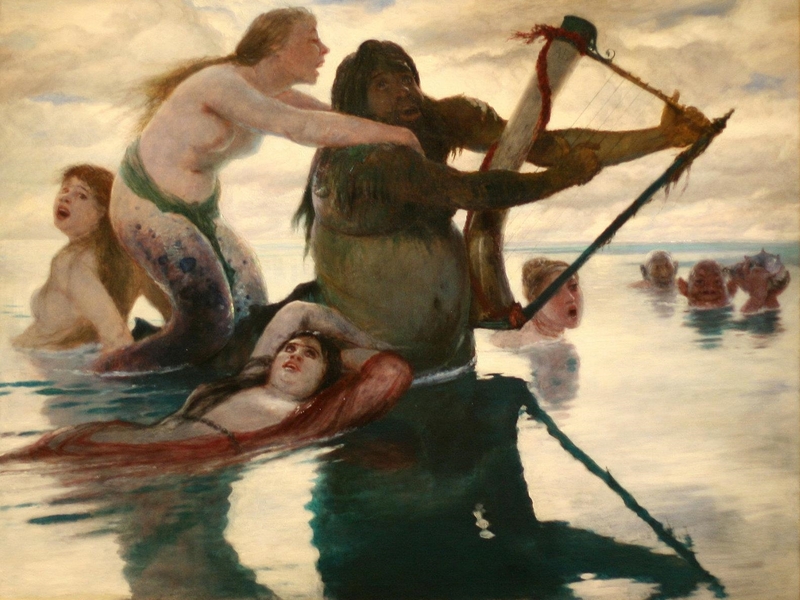 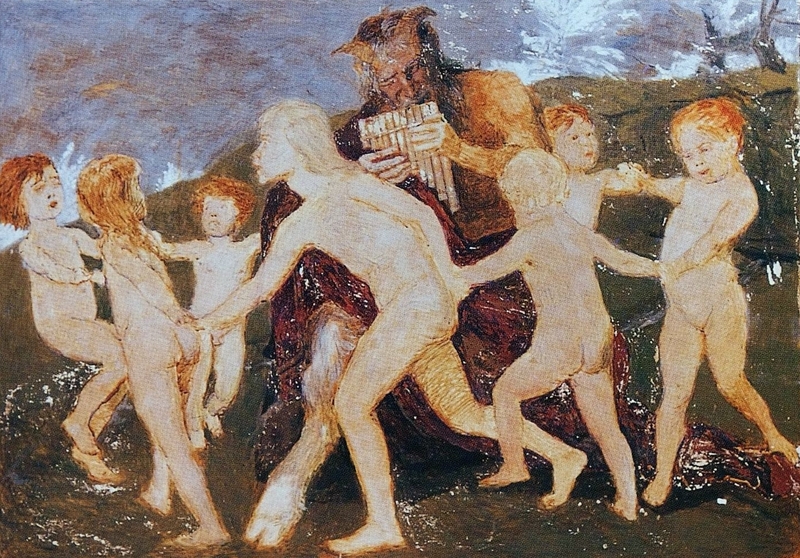 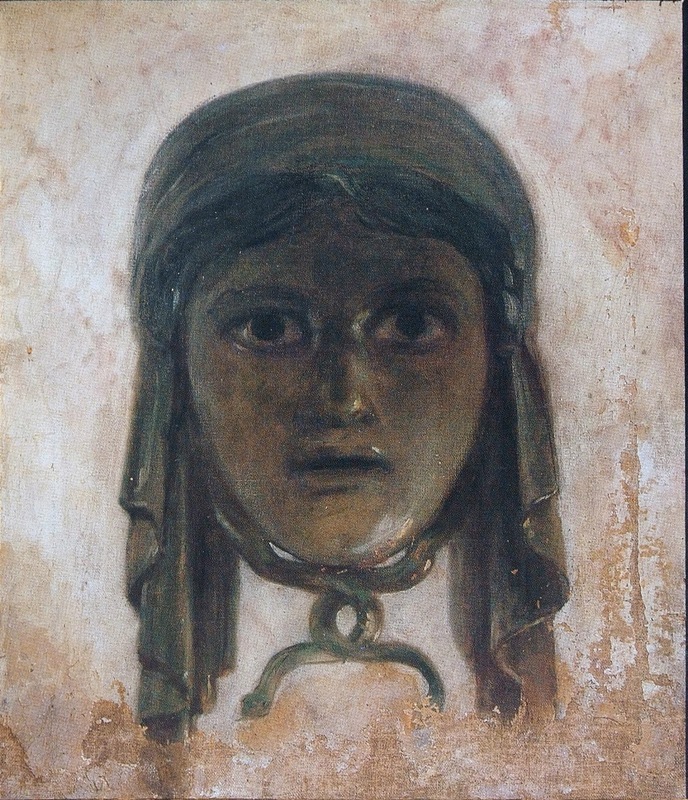 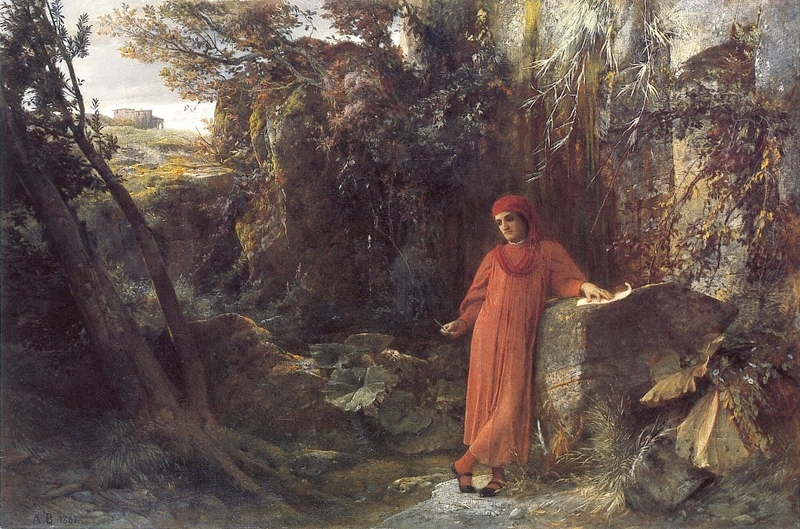 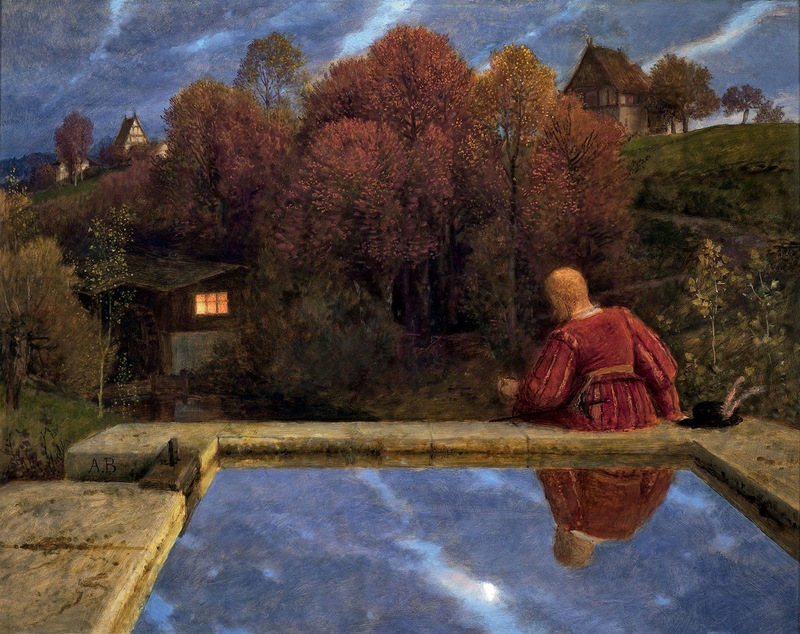 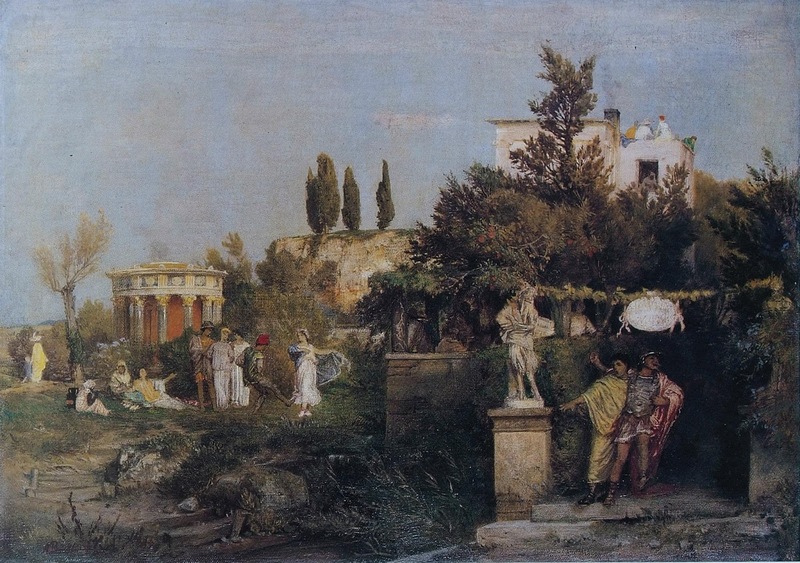 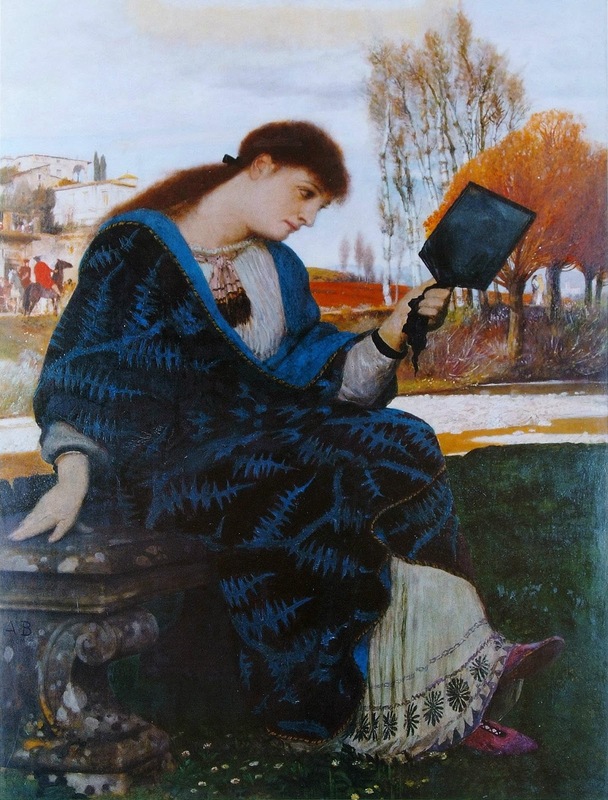 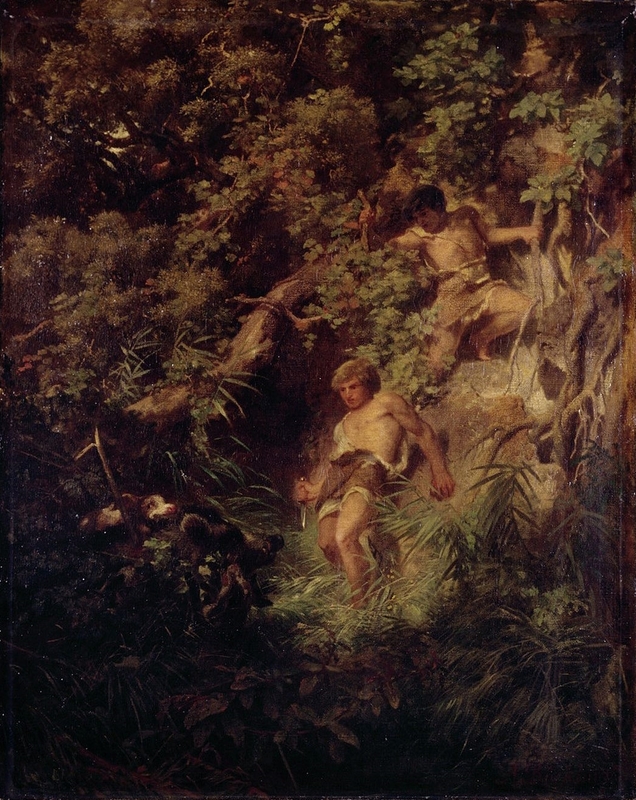 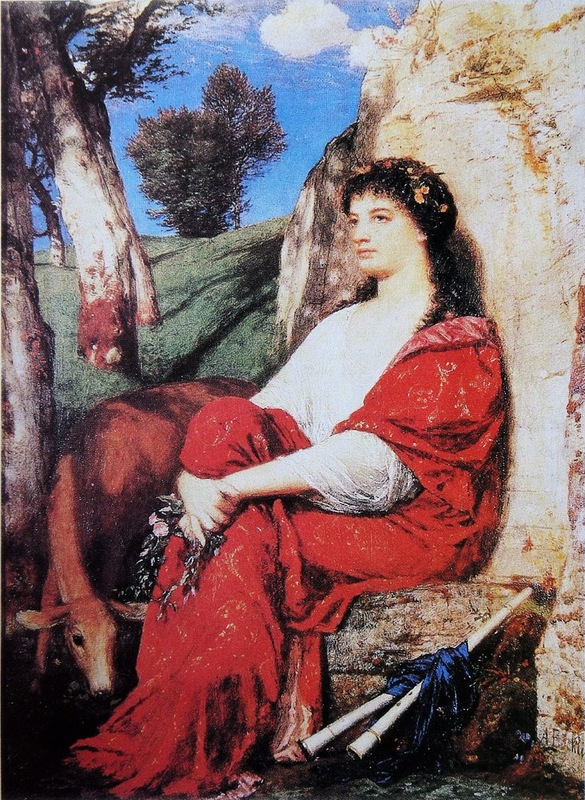 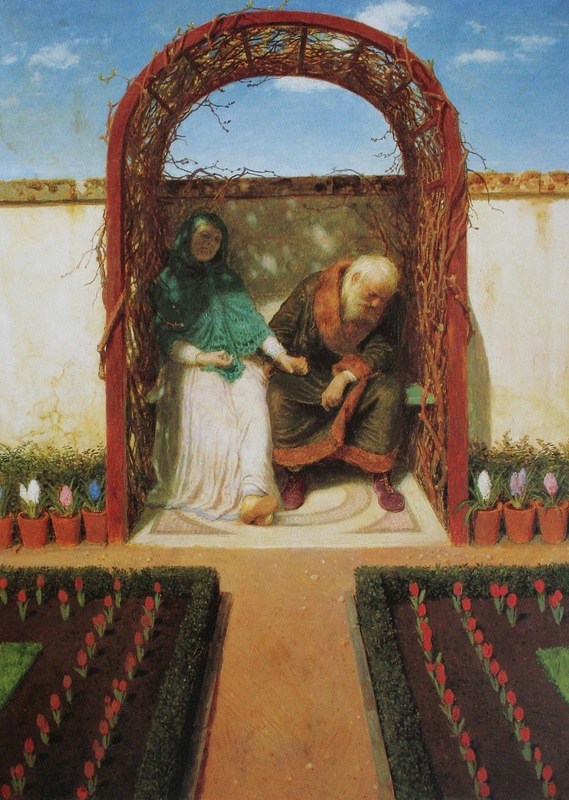 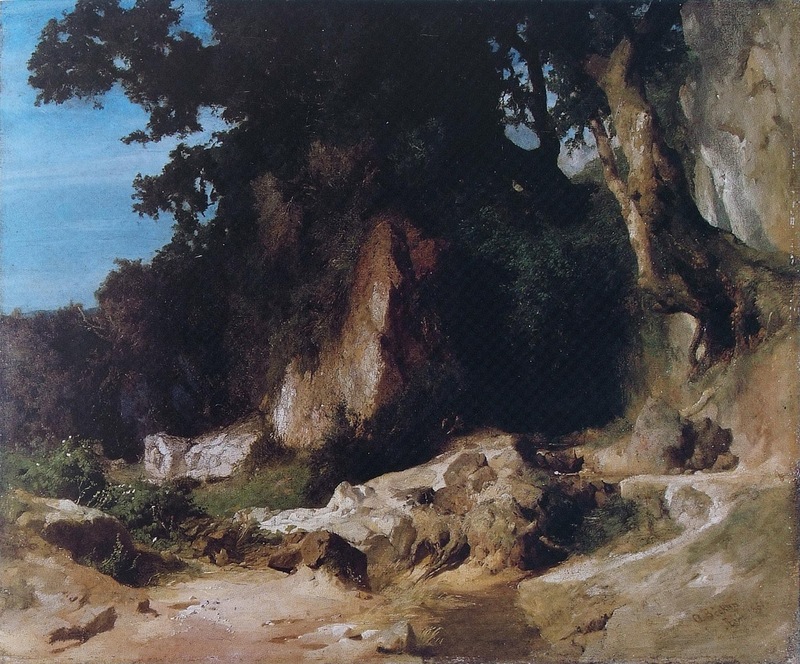 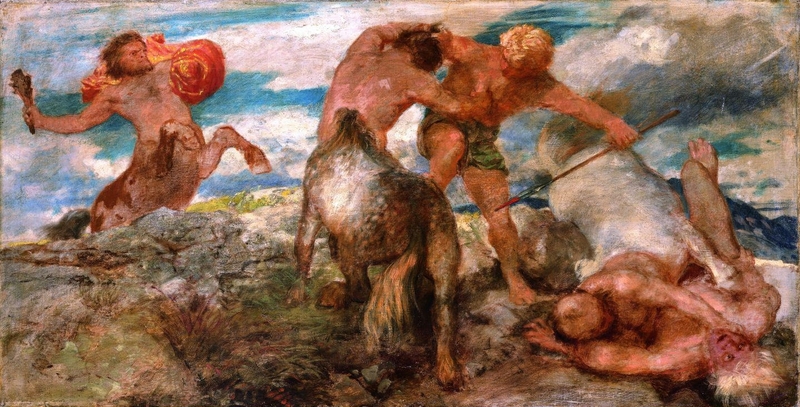 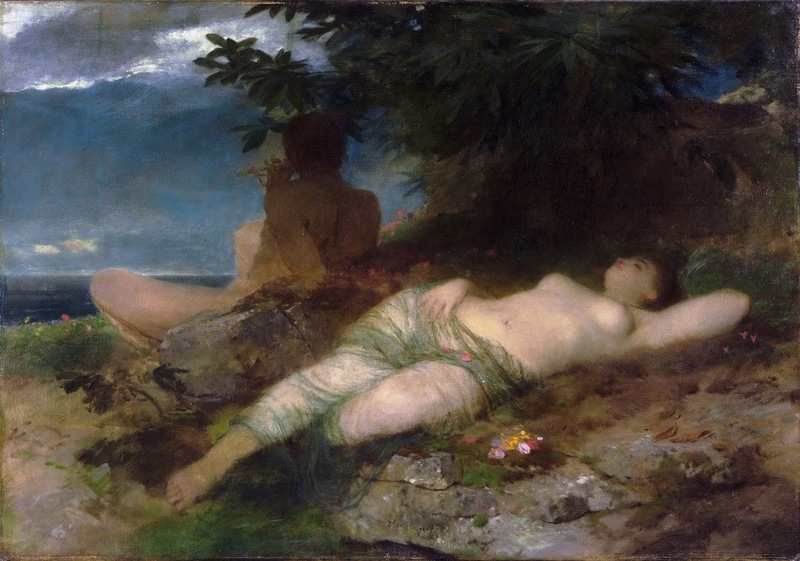 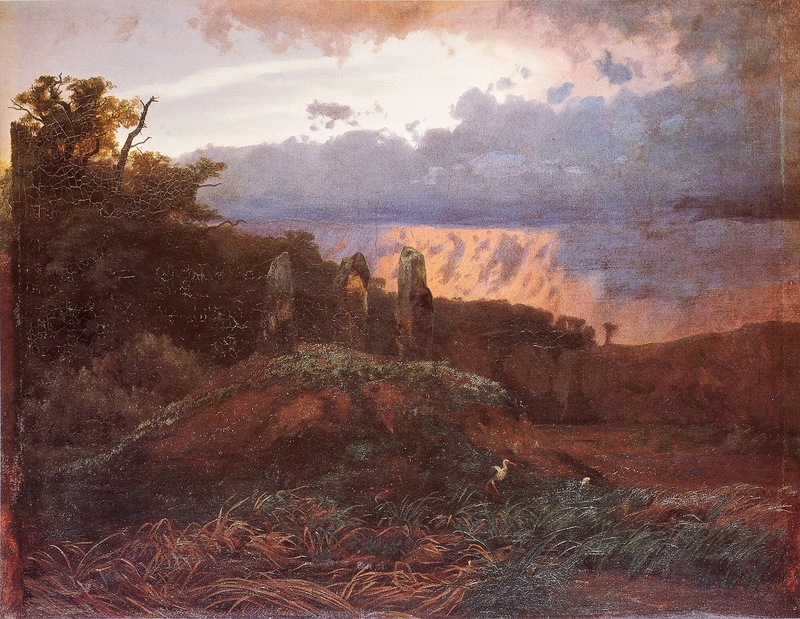 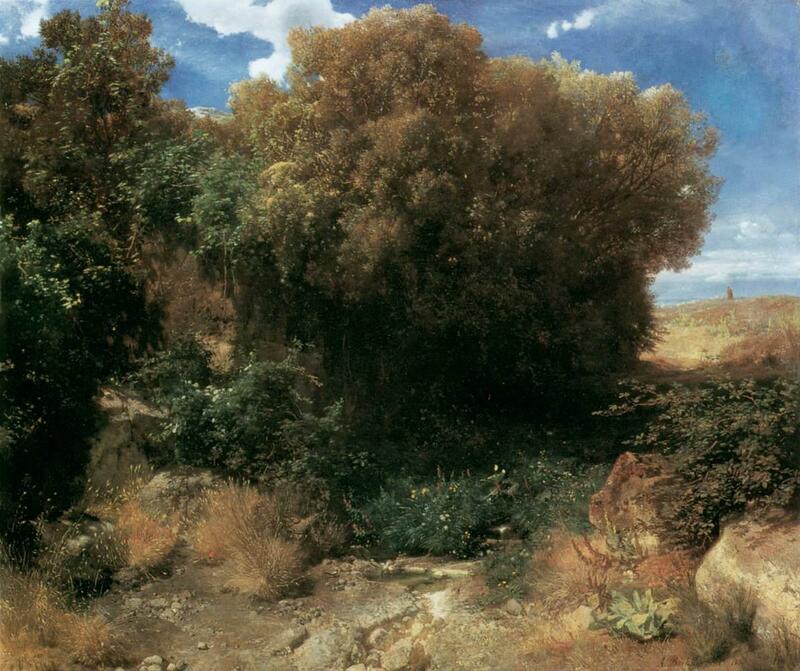 Böcklin** first won a reputation with the large mural Pan in the Bulrushes (c. 1857), which brought him the patronage of the king of Bavaria. 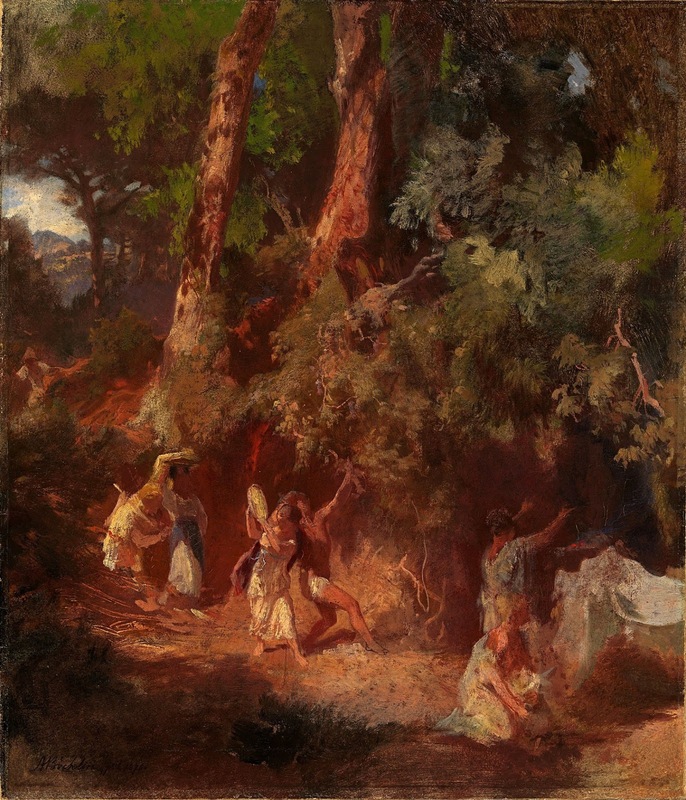 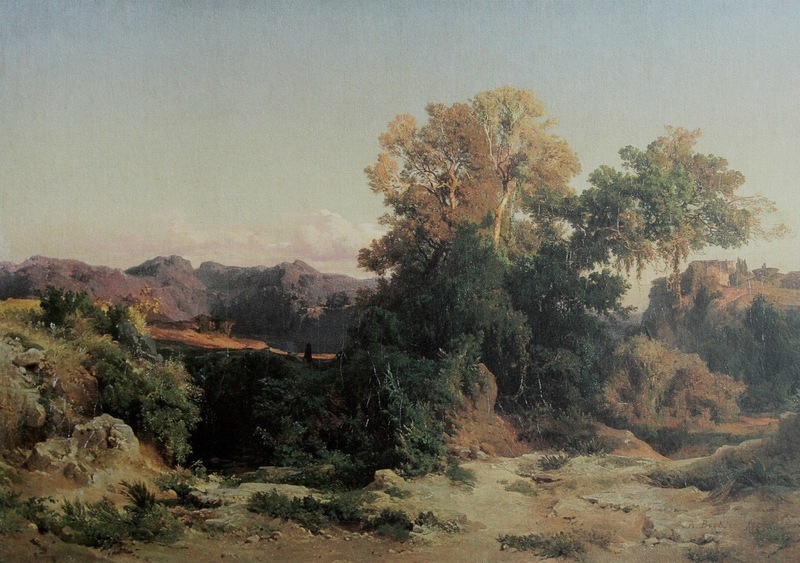 From 1858-1861, he taught at the Weimar Art School, but his nostalgia for the Italian landscape pursued him. 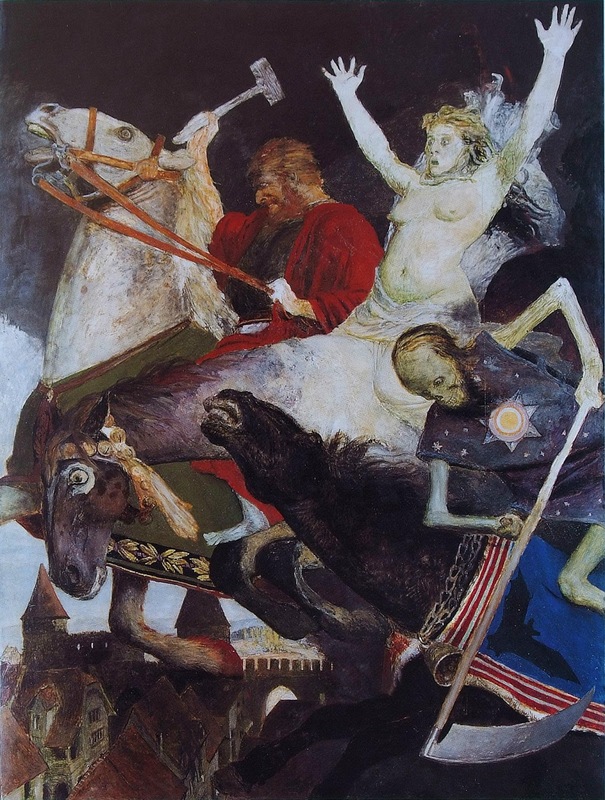 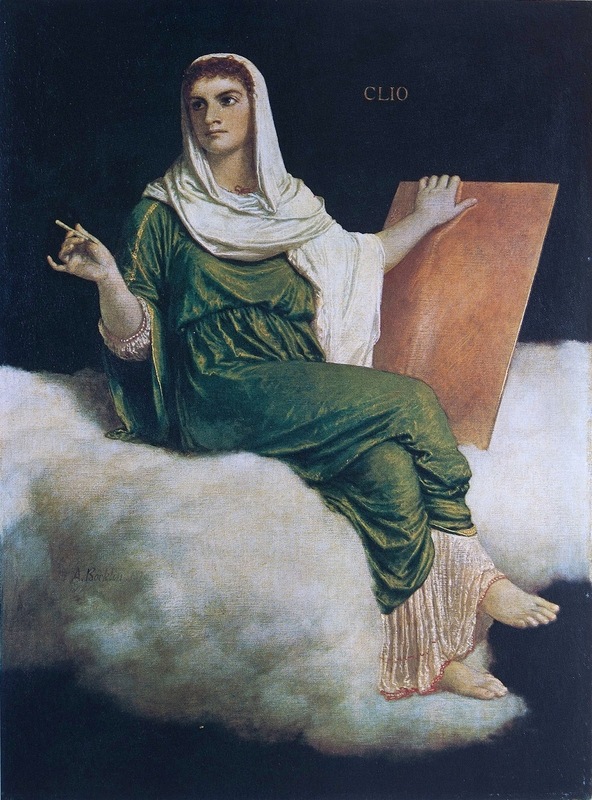 After an interval during which he completed his mythological frescoes for the decoration of the Public Art Collection (Öffentliche Kunstsammlung), Basel, he settled in Italy and only occasionally returned to Germany, and then to experiment with flying machines. 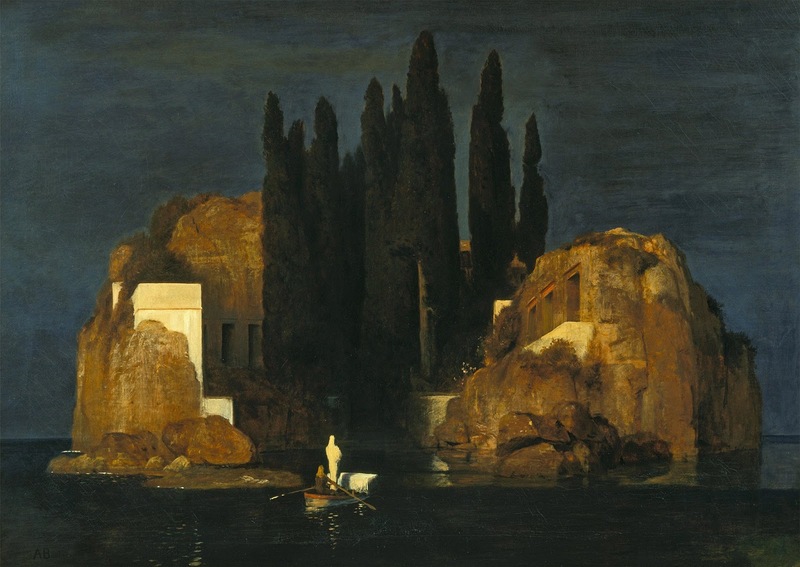 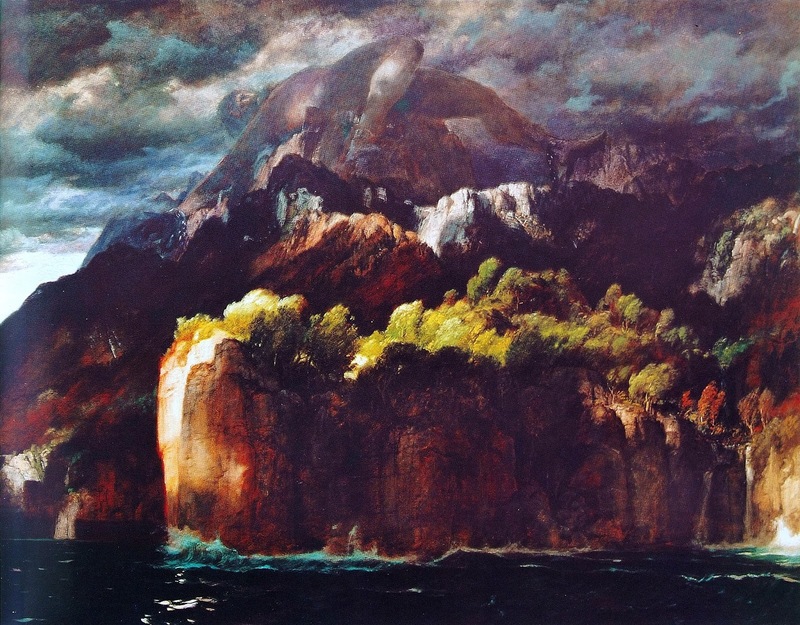 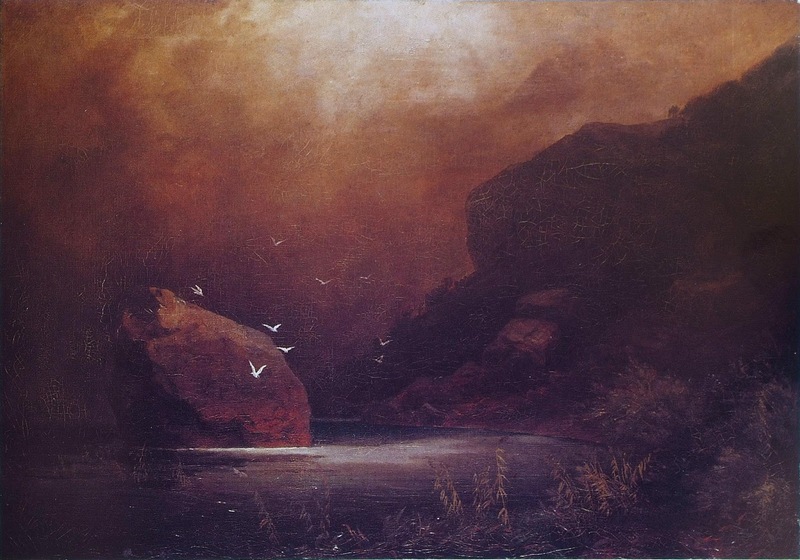 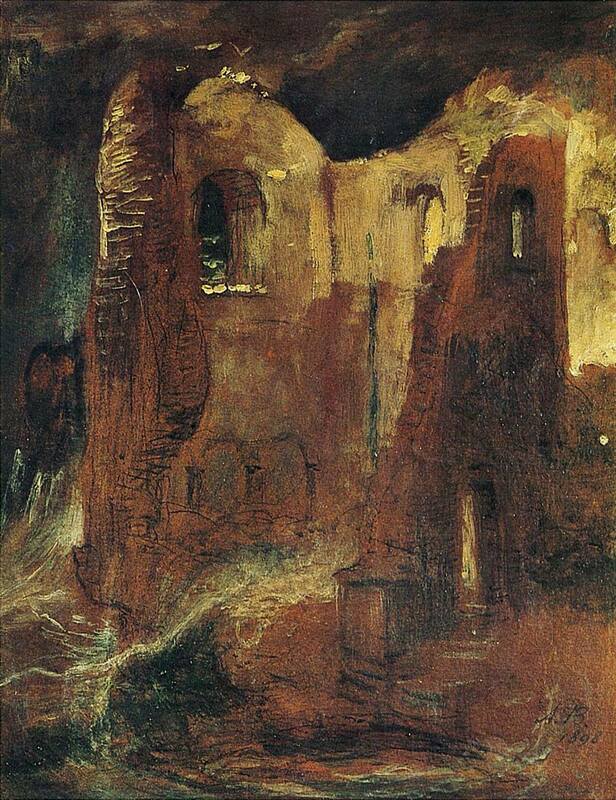 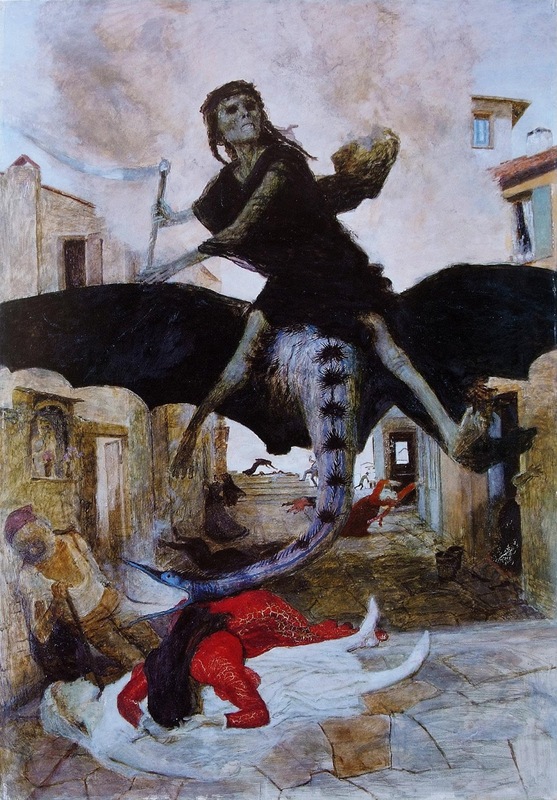 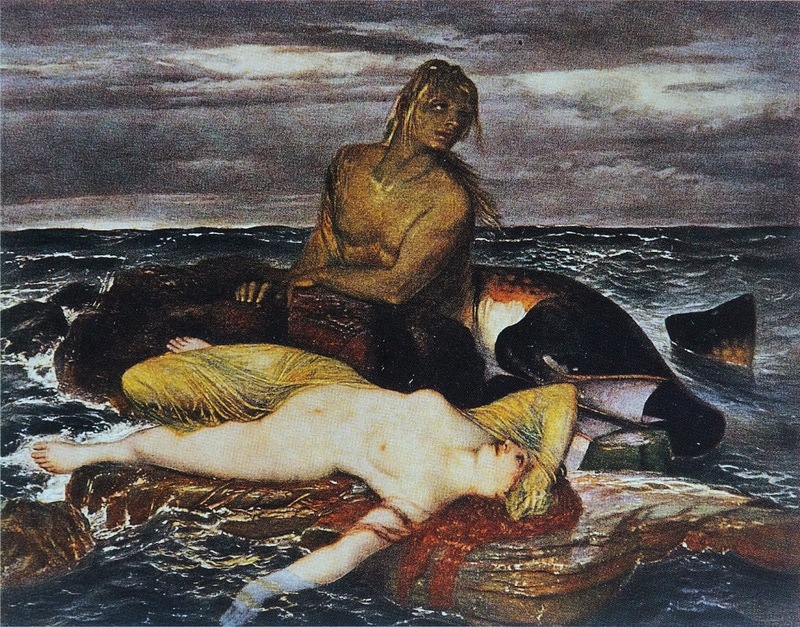 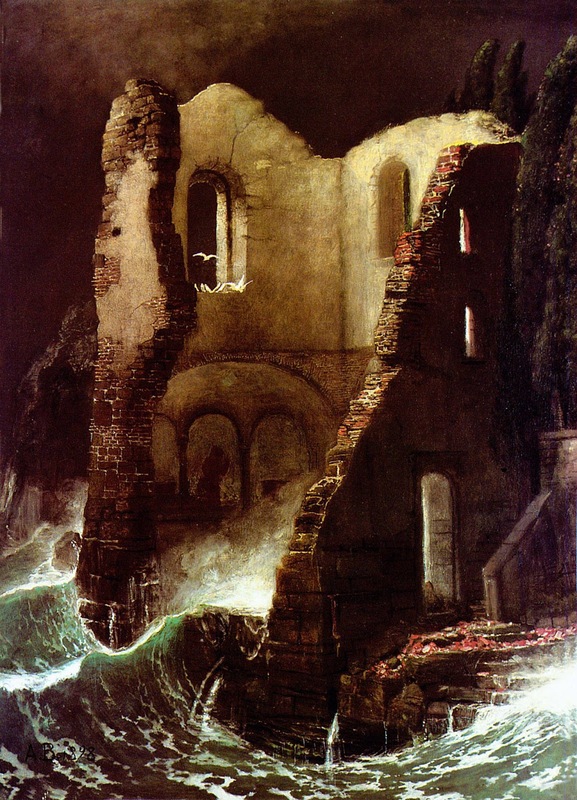 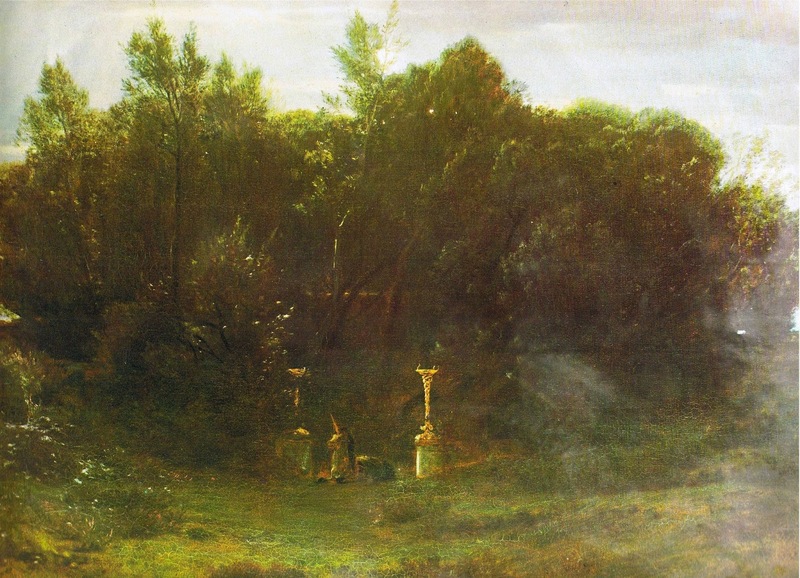 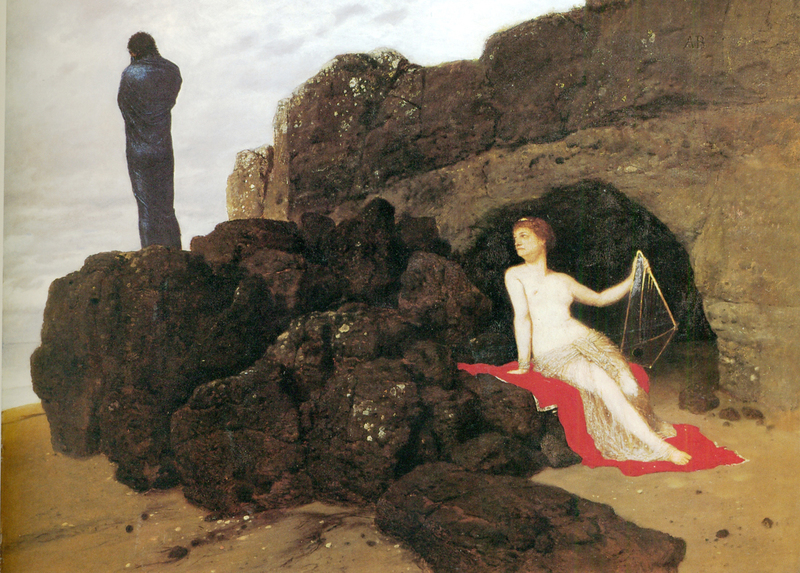 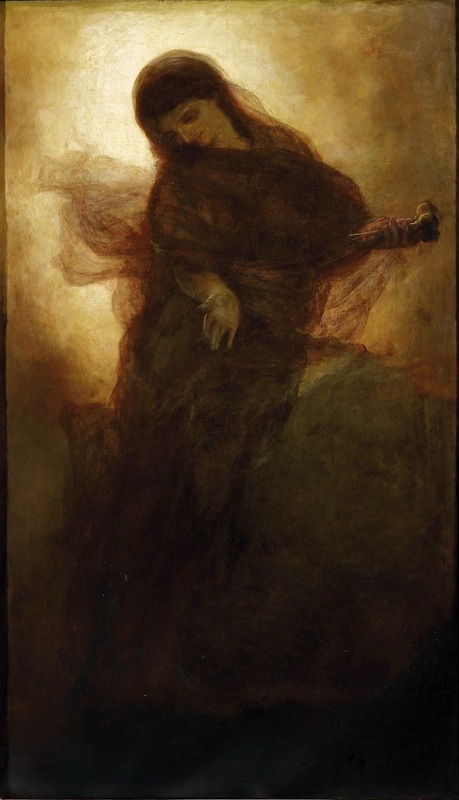 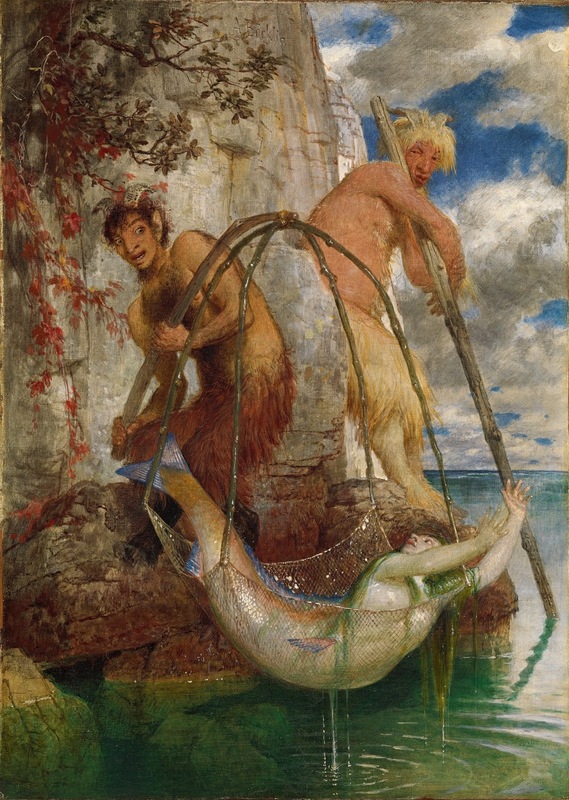 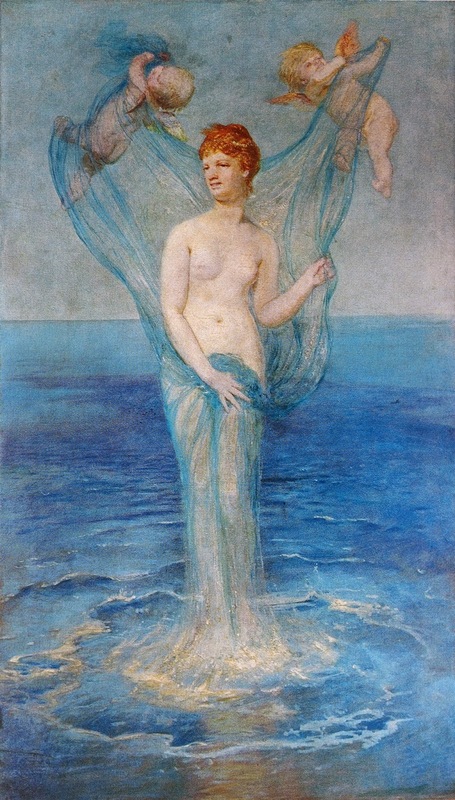 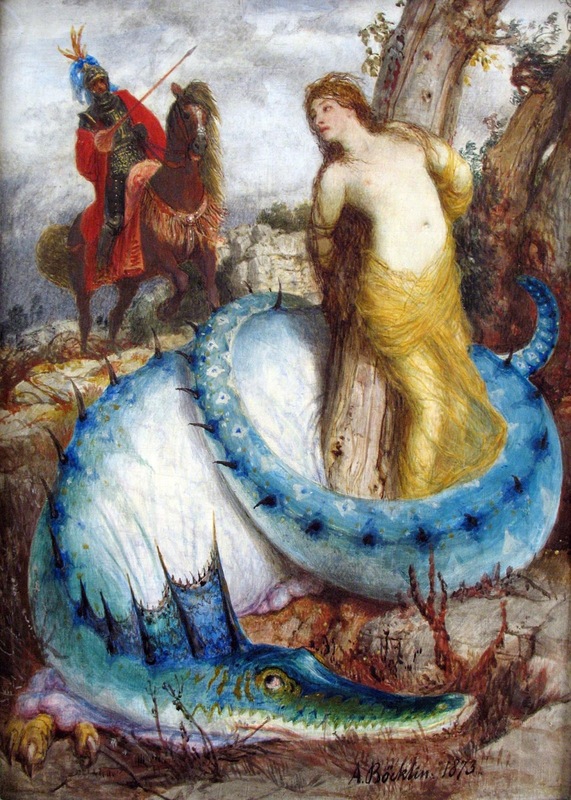 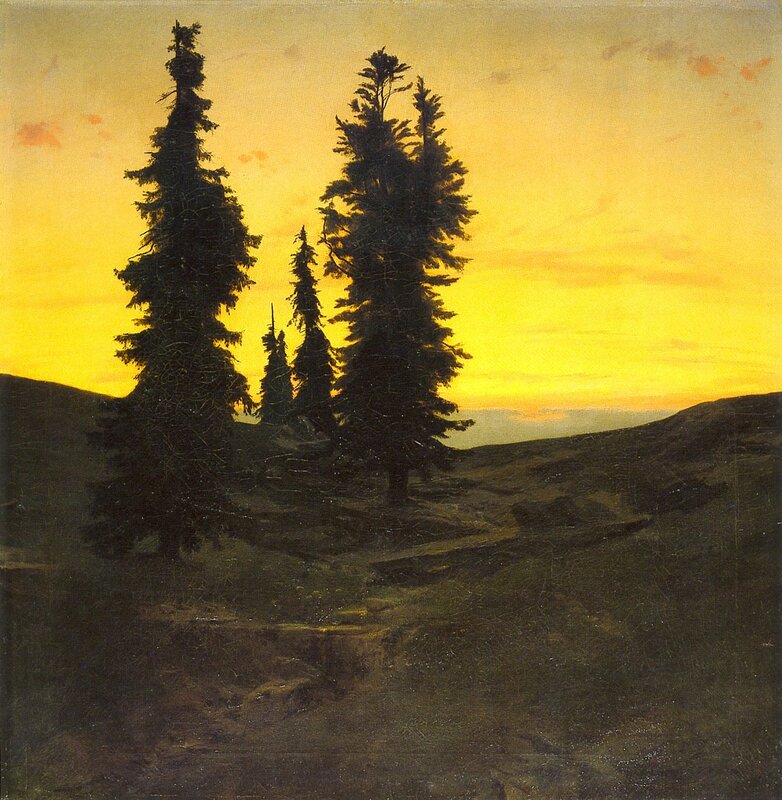 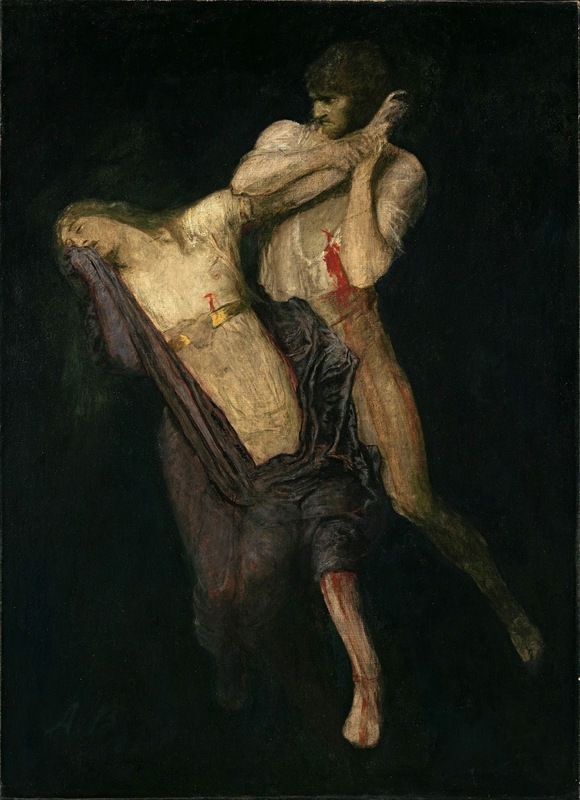 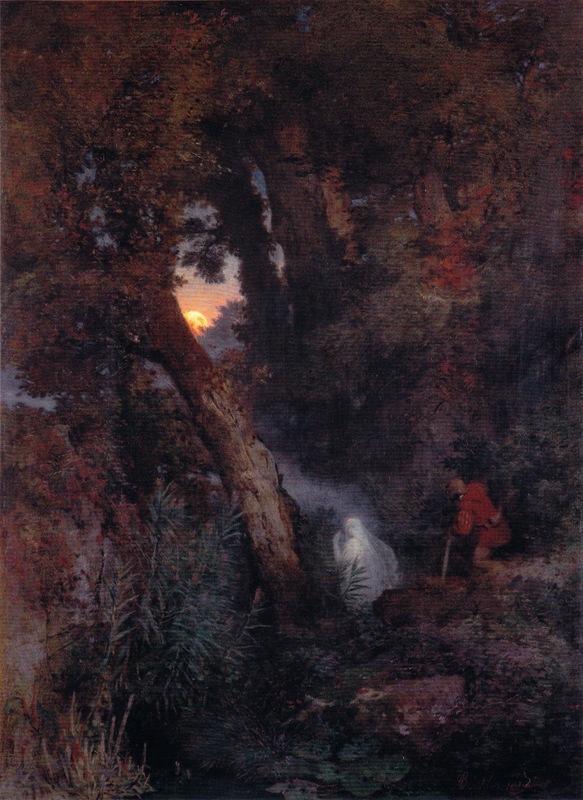 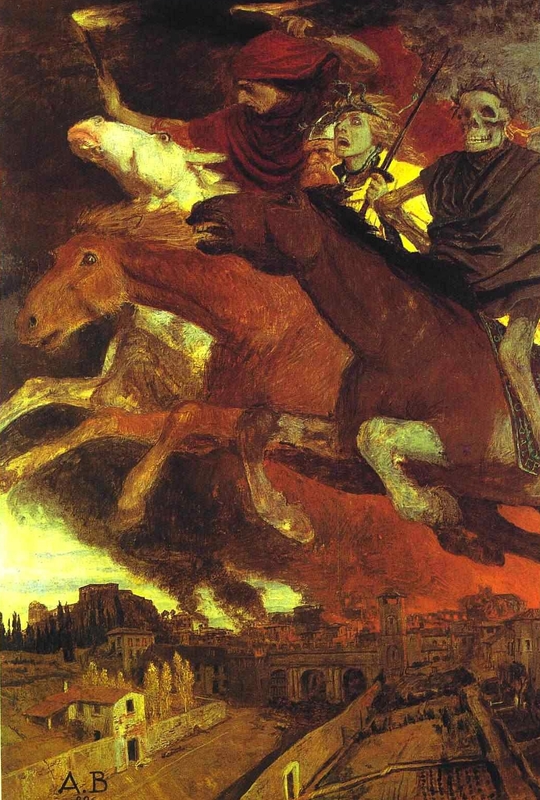 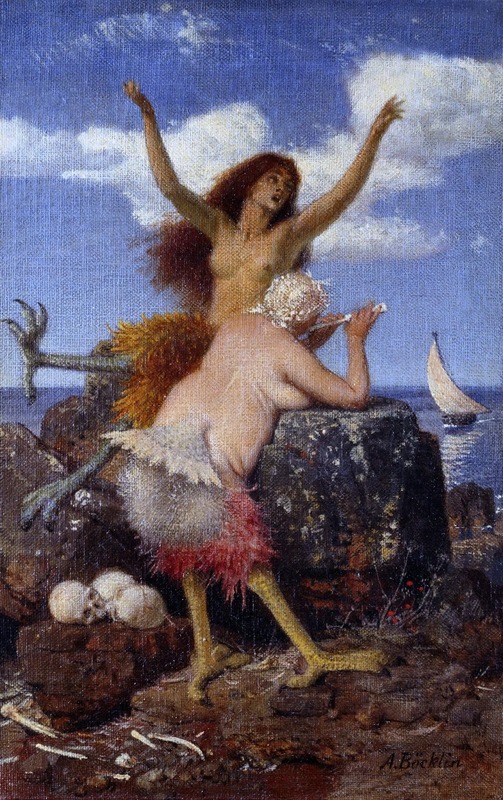 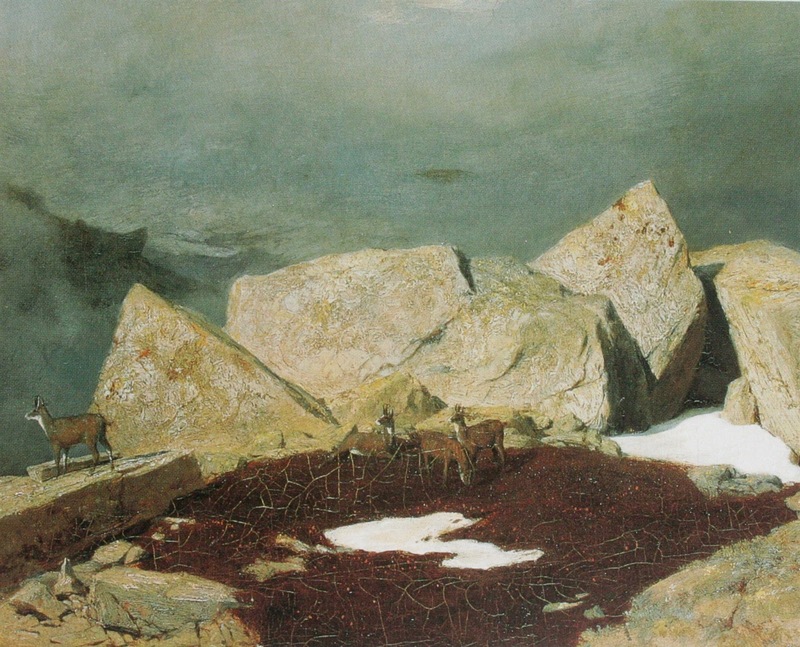 During his last two decades, Böcklin’s** work became increasingly subjective, often showing fabulous creatures or being based on dark allegorical themes, as in Island of the Dead (1880), which provided the inspiration for the symphonic poem The Isle of the Dead by the Russian composer Sergei Rachmaninoff.